Caregivers are truly the co-survivors of cancer. Accompanying someone on a cancer journey challenges you emotionally, physically, psychologically, and spiritually. Caregivers also need "time to heal." Caregivers are included in all of the information, exercise, discussion and activities of the 12-week class. Caregivers and patients sometimes separate for the discussion part of the session so that caregivers have time to focus on their own health and share strategies for coping with the illness of a loved one. As a caregiver, you play a special role in the cancer journey. You support your wife or husband, brother or sister, child, friend, coworker, family member or neighbor. You are to be thanked and honored. It can sometimes be a daunting, overwhelming task. 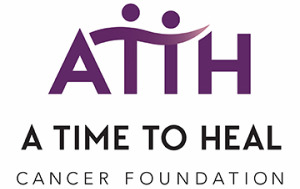 Cancer is not the disease of an individual; it affects everyone who loves him or her. When your loved one was diagnosed with cancer, your world was probably shaken too. It can be particularly difficult to stand by and feel helpless watching someone you love suffer. It is exhausting to juggle your own schedule while trying to support your loved one, take on tasks he or she is unable to do, keep the household running, maybe care for children, manage the finances, deal with medical bills, communicate with medical staff and keep yourself minimally healthy and sane. You’ve been through a grueling time, and deserve support and encouragement just as your loved one does. We can help with that. Our program is designed to address the unique challenges and concerns that Caregivers face. As you and your loved one move on, it’s vitally important for you to take care of yourself, to learn to relax again, and to find your best life. We invite you to take a look at our program designed specifically for caregivers. We look forward to joining you on your journey of healing.